Development of the economy of a country depends on disciplined, modern and dynamic banking system. Banks are one of the most important balancing tools in economy these days. They ensure that money from surplus zone can be used in the deficit zone. By ensuring this, banks ensure the smooth flow in economy, expansion of industry and overall development. EXIM Bank Limited (Export Import Bank of Bangladesh Limited) is one of the most prominent banks in Bangladesh. It is well known for its organizational reputation, expertise, professionalism. EXIM bank’s corporate branch is well known for the way they do business, handle clients and maintain diversified portfolio. The main goal of this report is to conduct a study on overall banking activities on EXIM bank and apply the marketing strategy on their product, services and process. During the 3 months rotation for the internship program, 3 department rotation was mandatory. These departments are – General Banking, Loans & Advances, Foreign Exchange. The scope of activity and processes of these departments are huge and it is not possible to fathom everything within such a short period of time. Therefore, the findings and recommendations based on these three months’ rotation can be rather subjective than judgmental. After being attached with EXIM bank for three months, it was observed that, EXIM bank had a lot of opportunity that they can avail with some proper marketing strategy and process innovation. The main strength of EXIM bank is, Shariah Based Islami Banking system. It was found that, the promotion activities are not that aggressive as other commercial banks. With some little cost in promotion and advertisement, EXIM bank can earn much more than what they are earning now. Also, it was observed that, EXIM bank is still not giving much facilities to general consumers – like consumer credit, ATM booth options etc. Though their majority income is generated from industrial customers, but the major branding, image and concept of a bank is conceived by general consumers. With more customer satisfaction, EXIM bank can not only gain a higher brand value but also gain more industrial customers for better reputation – ultimately giving the bank much higher profit. The main source of information was Annual Reports and authorized personnel of the organization. Apart from the observing the operations, various relevant information was collected by interviewing the authorized personnel. For secondary materials, previous records, files, reports and other data have been collected and analyzed for the purpose of this report. Some problems were faced during preparing the report. Not all the data or information was readily available due to lack of proper documentation. Due to confidentiality reason, other source of information could not be explored. Sincere gratitude goes to all the personnel who helped us with their time and information. Finally, it is believed that this report will enhance my ability to analyze an organization from marketing point of view. Banks are one of the most important balancing tools in economy these days. They ensure that money from surplus zone can be used in the deficit zone. By ensuring this, banks ensure the smooth flow in economy, expansion of industry and overall development. Currently Bangladesh has 52 Commercial Banks – ensuring the basic thing – flow of money and economic balancing. Banks are the principal source of credit (loanable fund) for millions of individuals and families. Banks are closely watched because of their power to create money in the form of easily spendable deposits and by making loans and investment. Banks appear to be closely co-related with economic condition specially the growth of jobs, inflation and growth of industry. Since banking has changed drastically since last decade, the competition between banks is tough. Today, banks are nothing new to marketing. Banks are continuously promoting themselves by advertisement, new product development, and innovative customer services. Like many other big industries, banks are also adapting marketing strategies to thrive in the competition and survive in the economy as a challenging sector to work in and to invest in. This report is originated as the course requirement of BBA Program, Department of Business Administration, Stamford University, Bangladesh. Only a lot of theoretical knowledge will be of little importance unless it is applicable in the practical life. As practical orientation is integral part of BBA program requirement, I was sent to the EXIM Bank Limited, Head Office – Corporate Branch for three months to complete the internship program and to take the real life exposure of the activities of banking from June 22, 2010. EXIM Bank Limited (Export Import Bank of Bangladesh Limited) is one of the most prominent banks in Bangladesh. It is well known for its organizational reputation, expertise, professionalism. EXIM bank’s corporate branch is well known for the way they do business, handle clients and maintain diversified portfolio. Working in this branch has proved to be a learning experience. This research report is based on the learning in this branch while doing internship. The final report has been a mix of library research, internet research, interviews with personnel, observations etc. For the report my course teacher provided as much help as needed. In general, Methodology is the systematic description of sequence of activities required to manage a project. Extensive web research has been conducted to gather as much secondary data as possible. For the study qualitative research instrument has been chosen. In depth interview along with existing data from different sources have been used to write the report. The primary source of the data has been the Annual Reports of different years. Apart from that, manuals for different departments were helpful in gathering as much data as possible. Majority of secondary data has been collected from in-house reports, interviews and observations. Descriptive Research: In this report I tried to identify the real procedures, operation and issue that are analyzed in a descriptive manner and also focused on findings and recommendations. Adequate and in-depth well-organized information is not available for access. Though the officials tried to assist, sometimes their working pressure couldn’t give me proper assistance what I needed. There is some information which need special permission from top level is not always achievable. It is something like impossible to cover the entire Overall Banking Performance and performance phenomena exploiting a three month time period while an employee or an officer is awarded with one or two year probationary period to do his or her particular job. Some of the information needed to explore the current marker scenario of the company was not disclosed. I have had no opportunity to compare the foreign exchange banking system of the EXIM Bank with that of other contemporary and common size banks. I had compared the banks that information is available. It was mainly because of the shortage of time and internship nature. Though I have prepared many reports before, I had no experience of internship. So inexperience is one of the main constraints of the study. EXIM Bank Limited was established in 1999 under the leadership of Late Mr. Shahjahan Kabir, founder chairman who had a long dream of floating a commercial bank that would contribute to the socio-economic development of our country. A group of highly qualified and successful entrepreneurs joined their hands with the founder chairman to materialize his dream. This bank starts functioning from 3rd August 1999 with Mr. Alamgir Kabir, FCA as the Advisor and Mr. Mohammad Lakiotullah as the Managing Director. Both of them have long experience in the financial sector of our country. By their pragmatic decision and management directives in the operational activities, this bank has earned a secured and distinctive position in the banking industry in terms of performance, growth, and excellent management. The bank has migrated all of its conventional banking operation into Shariah based Islami banking since July/2004. The efforts of EXIM Bank Limited are focused on delivery of quality service in all areas of banking activities with the aim to add to increased value to shareholders investment and offer highest possible benefits to the customers. The gist of the bank’s vision is ‘Together Toward Tomorrow’. Export Import Bank of Bangladesh believes in togetherness with its customers, in its march on the road to growth and progress with services. EXIM Bank is one of the most disciplined banks with a distinctive corporate culture. The bank believes in shared meaning, shared understanding and shared sense making. People can see and understand events, activities, objects and situation in a distinctive way. They mould their manners and etiquette, character individually to suit the purpose of the bank and the needs of the customers who are of paramount importance to us. The people in the bank see themselves as a tight knit team/family that believes in working together for growth. The corporate culture the bank belongs has not been imposed; it has rather been achieved through its corporate conduct. A 5 storied building having 10,000 sft floor space at 840 Kazi Para, Rokeya Sarani,Mirpur, Dhaka-1216 has been hired to set up EximBankHospital. The decoration of this hospital is going on in full swing. A doctor has been recruited who is working as a resident director of the hospital. Other doctors and hospital staffs have been in the process of selection through recruitment notice already published in the national dailies. They will be appointed as soon as the decoration of the hospital is complete. This is a stipend package for poor and meritorious students that take care of the beneficiaries throughout their student life. EXIM Bank Scholarship Programme, launched in 2006 with 61 poor and meritorious students selected from different reputed educational institutions of DhakaCity including Govt.LaboratoryHigh School, ViqarunnissaNoonSchool and College, DhakaUniversity, BUET, DhakaMedicalCollege, etc. enrolled as many as 1000 students from around 150 reputed educational institutions across the country by 31 December 2008. They are enrolled in the this programme to be taken care of for their whole educational life subject to their fulfilment of the eligibility criteria that include satisfactory academic results, non-involvement in student politics, financial insolvency etc. So far Tk. 19.3 million has been disbursed as scholarship under this programme. Under Education Promotion Scheme, quard or interest-free loan is provided for poor and meritorious students to help them bear monthly educational expenditure including academic expenses, food, accommodation, etc. The quard is disbursed to the selected students in monthly installments till their accomplishing the master degree. Under this programme the students are required to repay the amount (only the principal amount) in long-term monthly installments after they have joined a confirmed job accomplishing their education properly. By 31 December 2008, Tk. 19.7 million was sanctioned to take care of around 138 poor and meritorious students from a number of reputed educational institutions like DhakaUniversity, ChittagongUniversity, DhakaMedicalCollege, BUET, BangladeshAgriculturalUniversity, Shahjalal University of Science and Technology etc. Another vital area we are dealing with as part of our CSR activities is helping people survive natural calamities. Under this welfare programme, EXIM Bank provides relief in cash and kind for flood, fire or cyclone victims and cold-stricken people. The aim of these CSR activities is to help the target group overcome their provisional handicap and contribute to the socio-economic growth as soon as possible. Besides natural calamities, fire breaks out sometimes in slum areas that guts the shanties and renders the affected people totally helpless. In that situation, EXIM bank helps the victims fight against the hard days and return to normal life. EXIM Bank has donated to DhakaUniversity and ChittagongUniversity to set up two computer labs that help the students of those universities acquire ICT knowledge. This will certainly help the students to be ready to take the challenges of this information society. In response to the call of the Dhaka City Corporation, EXIM Bank has been sharing a good portion of the mammoth task of beautifying the capital since 2005. To make the capital a modern city enriched with adequate urban amenities, EXIM Bank always joins hands with the government. In order to provide IT enabled products and services to valued customers, bank has implemented a world renowned ‘Shariah’ based centralized core banking software named TEMENOS T24. This software is capable enough to provide all sorts of electronic banking services to the valued customers through various electronic delivery channels. It is a great pleasure that by the grace of Almighty Allah, we have migrated at a time all the branches from its conventional banking operation into Shariah based Islami banking operation without any trouble. Lot of uncertainties and adversities were there into this migration process. The officers and executives of our bank motivated the valued customers by counseling and persuasion in light with the spirit of Islam especially for the non-Muslim customers. Our IT division has done the excellent job of converting and fitting the conventional business processes into the processes based on Shariah. It has been made possible by following a systematic procedure of migration under the leadership of honorable Managing Director. In order to ensure delivery of smooth and most reliable remittance services to NRBs living and working in UK, Export Import Bank of Bangladesh Limited (Exim Bank) has started operation of its wholly owned subsidiary “EXIM Exchange Company (UK) Ltd”. on 30th June 2009 in London, United Kingdom, one of the oldest destinations for the expatriate Bangladeshis. It is the first exchange house owned by a Bangladeshi private bank. With the opening of EXIM Exchange the Bangladeshi expatriates will now be able to send remittances to their family members back home within shortest possible time through online transfer to all the branches of EXIM Bank. EXIM Exchange Company (UK) Ltd is located at the Universal House of Wentworth Street London which is a very convenient location for the Bangladeshi community and business houses. Unlike any other exchange company operating in UK, as EXIM Exchange is completely owned and supervised by EXIM Bank under the approval of Bangladesh Bank and UK regulators, it is expected to be the most reliable and trusted Exchange House for the NRBs. As a commercial bank, EXIM Bank provides all traditional banking services including a wide range of savings and investment scheme products, foreign exchange and ancillary services with the support of modern technology and professional management. But the main stress is, as the name implies, put on export and import trade handling & financing and the bank has become the pioneer in promoting readymade garment industries and one of the largest financiers in this sector. Since inspection, the bank foresighted the bright prospects of this sector and extended finance to the deserving and promising entrepreneurs. It provides this sector with financial support including market information and advice and today the garment sector constitute the lion portion of the total export of the company. EXIM Bank conducts its various activities by its some functional division. The following chart shows the functional division of EXIM Bank. Mudaraba: Mudaraba means the hiring of capital. It is a contract in a profit sharing where one party provides capital/funds and the other labor/work. Under this system, banks provide the capital and clients provide expertise and profit is shared according to agreed ratio. Musharaka: This mode of finance is represented by two or more financiers in contributions of equal or unequal ratios of capital to establish a new project or to participate in an established one and all partners are entitled to share the total profits of the venture according to ratio as mutually agreed upon allowing for managerial skills to be remunerated. Murabaha: About 70 to 80 percent of financial operations of most of the Islamic banks belong to this segment. It enables the investor to obtain finished goods, raw materials, machinery or equipment from the local market or through import by opening letter of credit (L/C). Under this technique, bank buys the goods upon the request of the client and then the customer form the bank purchases these goods with a fixed period of time or by installment with a cost, which includes cost of goods plus mark-up profit. Ijarah: Izarah financing under Islamic Shariah is same as the western concept of leasing. In Ijarah financing, the bank finances capital goods to industrial project against payment of a rent by installment. Bai-Muajjal: Bai Muajjal means sale for which payment is made at a future fixed date or within a fixed period. Bai-Muajjal is treated as a contract between the bank and the client under which the bank sells to the client certain specified goods at an agreed price payable within a fixed future date in lump sum or by installments. By this credit sell bank possession of the goods also. Quard: is interest free loan to the holder of investment accounts of the bank on compassionate ground. In another way .There is another deposit system that is Scheme deposits. 3. Call deposits from the following bankers. 1. Monthly Income Scheme/ Mudaraba Monthly Income Scheme (Steady Money). 2. Monthly Savings Scheme/ Mudaraba Monthly Savings Scheme (Money Grower). 3. Super Savings Scheme/ Mudaraba Super Savings Scheme. 5. Mudaraba Hajj Deposits (MHD). The most vital and important section of the branch is Cash Department. It deals with all kinds of cash transactions. This department starts the day with cash in vault. Each day some cash that is opening cash balance are transferred to the cash officers from the cash vault. Opening cash balance is added by cash receipts and payments. The figure is called closing balance. This balance is then added to the vault. This is the final cash balance figure for the bank at the end of any particular day. 1. It receives deposits in form of cash. 2. It collects money only its receipts forms. Step 1 a. Receiving Cheque by the employee in the cash counter. b. Verification of the followings by the cash Officer in thecomputer section. Step 2 a. Date of the Cheques (it is presented within 6 months from issue date). b. issued from this branch. c. Amounts in figure and sentence written does not differ. d. Signature of the drawer does not differ. e. Cheque is not torn or mutilated. Step 4 Payment officers make payment. Account section is a most important part of banking section .In the Account Opening Section is an important factor for banks because customer is the main source of bank. Selection of customer is another important factor. Bank’s success and failure largely depends on their customers. Mandate from the partners is essential – indicating who will operate the account. It is most important Section .As a cheque payment order or bills come from a Bank within the range of Local Clearing House then it is sent for collection through Clearing House. The Cheque may be crossed or not, if a customer of EXIM Bank deposits a cheque of another Bank which is within clearing, then EXIM Bank will Credit his Account and collect it (cheque). Though the amount is credited in the customer account but will not get the money until the cheque is honored. Demand Draft is an instruction payable on demand. It is negotiable instrument issued by the branch of a Bank containing an order to another branch of the same Bank to pay a certain sum of money to a certain person or order on demand. This instrument can be purchased by a customer from a particular Bank branch for himself or for beneficiary and can handed over to the purchaser for delivery to the beneficiary. The payee or beneficiary will claim the proceeds of the instrument by producing the same to the concerned paying branch. Demand Draft may be paid in cash to the payee on proper identification or the proceeds may be credited to his account. Banks issue drafts for a nominal commission. The commission depends upon the amount to be transmitted. The purchaser of the draft needs not to be a customer or account holder of the Bank. Draft can be crossed also. Telegraphic transfers are affected by telegram, telephone, or telex as desired by the remitter. Transfer of finds by telegraphic transfer is the most rapid and convenient but expensive method. For this, telegraphic needs to be available in all the areas. In this case the issuing branch sends a message telegraphically to credit the specified amount to the efficiency through his A/C maintained with them or by issuing TT, PO, if A/C is not maintained by the beneficiary, Telegraphic message may be coded but must be tested. Paying branch will decode the TT being satisfied on the contents will make payment by debit to issuing branch entering the TT into TT Register and preparing a credit voucher for credit to the payees A/ C. But, for big amount of TT or in case of any doubt confirmation must be obtained before making payment. 6. Telegraphic and Telephone Transfer (TT) are almost the same, both are them are known as TT in short. The payee’s Banker, who should certify that the amount would be credited to payee’s A/C. The payee must authenticate a person holding the letter of authority from the payee whose signature. The purchaser by cancellation provided the original PO is surrendered by him to the Bank. As Bank’s Payment Order is not transferable, it is issued to the purchaser without obtaining letter of indemnity provided, they confirm in writing that the originals have been lost and that these will be returned to the Bank whenever traced. Payment is made through clearing. 3. Debit if fund OK for payment. The making of loans and advances has always been prominent and profitable function of a bank. Sanctioning credit to customers and others out of the funds at its disposal is one of the principal services of a modern bank. Advances by EXIM Bank are made in different forms, such as loans, overdrafts, cash credits, bills purchased and discounted etc. EXIM Bank deals with the money from the depositor repayable on demand. So, it cannot afford to lock up its fund for long period. It usually grants short-term advances which are utilized to meet the working capital requirements of the borrower. This is the second formation of the bank’s two generic functions‑ deposit mobilization and credit creation. Since major part of bank’s income is derived from credit and since the banks credited its customer’s fund, bank should take extreme caution in lending. The granting of advances is one of the most important functions of a Bank and the test of a Bank’s strength depends considerably on the quality of its advances and the proportion they bear to the total deposit. Although receipt from Exchange, Commission and Bank’s Charges contribute a fair amount of the profits of Commercial Bank, its earnings are chiefly derived from interest charged on loans and discounts. A wise and prudent in regard to Advances is, therefore, considered an important factor inspiring confidence in the depositors and customers of a Bank Following are the basic principles of sound lending which each banker follows when considering an advance proposal. A funded credit facility that a bank offers to a customer result in an actual disbursement of cash to the customer or to any designated supplier of the customer. In order to provide funded facility to a customer the bank has to incur real liability before hand, i.e. ; the bank has to arrange for funds primarily through accepting deposits or otherwise. Funded facility affects the balance sheet of the bank both in terms of increase of liability and increase of assets. 4. Bill Purchased & discount. Cash Credit is the favorite of borrowing by trades, industrialists, agriculturists, etc. for meeting their working capital requirements. This type of facility is always against pledge of goods, produce and merchandise. Cash credit facility is allowed against pledge or hypothecation of goods. Under this arrangement the borrower can borrow any time within the agreed limit and can deposit money to adjust whenever he does have surplus can in hand. When an advance is made in a lump sum repayable either in fixed monthly installments or in lump sum and no subsequent debit is ordinarily allowed except by way of interest incidental Charges, etc. it is called a loan. Loans may be a ‘demand loan’ or ‘time loan’ or ‘term loan’. Demand loan is payable on demand which is allowed for a short period to meet short-term working capital need. Time loan is payable within one year and term loan is allowed for one year to five years, usually for capital expenditure such as construction of factory building, purchase of new machinery, modernization of plant etc. Apart from sanctioning loans and advances’ in various form and, on the security of various types of goods and documents etc. purchase and discounting of bills of exchange is another way of employing the bank funds. Such bills of exchange arise out of commercial transactions both in inland trade and foreign trade. A banker’s documentary credit is an instrument or letter issued by a bank on behalf of and for the account of the buyer of the merchandise. By this instrument the bank undertakes that the bill(s) of exchange of the beneficiary (the seller of the merchandise) drawn on the buyer, or on the issuing bank, or on another bank designated in the instrument, strictly according to the conditions stipulated in the instrument, will by duly honored by acceptance and/or payment depending upon the issuance of the bill(s) of exchange in question. In banking, it is an irrevocable obligation of a bank to pay a certain sum of money in the event of non-performance of a contract by a third party. The basis of guarantee is always a contractual relationship between principal debtor (account holder) and creditor (beneficiary), which is either a contract that has been definitely concluded or a relationship in its pre-contracted as is the case with the tender guarantee. This relationship is referred to as the principal or underlying relationship or contract. The contract of guarantee is independent of this underlying relationship. The stocks of goods are under the control of borrower. 1 The stocks of goods are under the control of lending Bank. For this ‘letter of hypothecation’ is obtained from the borrower. 2 For this ‘letter of pledge’ is obtained from the borrower. Borrowers have to submit stock report on monthly basis to the lending Bank. 3 Bank maintains pledge register; stock reports not require submitting. In case of CC (hypo) Bank obtained sufficient collateral security for covering loan risk. 4 In case of CC (Pledge) Bank takes other collateral security if available in the hand of borrower. It is allowed only for short time such as one or two days. 1 It is sanctioned for a stipulated period such as one year. It is allowed without security or against collection of instrument. 2 It is allowed against encashable securities such as FDR, PSP etc. Borrower cannot withdraw any amount as required by him. 4 Borrower can withdraw any amount as required up to the sanction limit. TOD allowed for meet up temporary crisis of the borrower. 5 It is allowed as working capital to meet run the business smoothly. 1 It is an import connected loan facilities. 1 It is also an import connected loan facility. 2 LTR liability is adjusted within 30 (thirty) days. 2 LIM liability is adjusted within 45-60 days. 3 For this ‘LTR Register is maintained’. 3 For this ‘LIM register is maintained’. 4 Stock of goods kept under borrower control. 4 Stock goods kept under Bank’s control. Bai Murabaha on order and promise. Ordinary Bai Murabaha is a direct transaction between two parties: the buyer and the seller. Here the seller is an ordinary trader who purchases goods from the market in the hopes of selling those goods to another party for profit. In this case the sellers undertake the entire risk of this capital investment in the goods purchased. This transaction involves three parties: the buyer, the seller and the bank. Under this agreement the bank acts as an intermediary trader between the buyer and the seller. In other words it is treated as a contract between the bank and the client under which the band purchased the specified goods form the seller as per order and specification of the client and sells those to the order client at a cost plus agreed profit payable within a fixed future date or by fixed installment. The word “izara bill bai” derived from the Arabic word where ‘izara’ means consideration, return, wages or rent and the bai means purchase. So “izara bill bai” means hire or leasing after purchase. It is a medium type of mode of financing which involves purchasing and subsequently transferring the right to use the equipment and machinery to the beneficiary for a specific period of time and charge rent during which the bank retains the ownership of the asset. Actually it is a contract between the hiree and the hirer where the hirer enjoys a specific benefit. 5. Izara Bill Baia (STAFF Car). EXIM bank also allows loans on fixed deposit scheme and monthly saving scheme. These are discussed in bellows profit rate. Fixed Deposit Scheme: On fixed deposit scheme, bank allows 90% of total deposit amount and charge profit 3% more on deposit. Monthly Saving Scheme: On monthly saving scheme bank allows 80% of total deposit amount and charge profit 3% more on deposit profit rate. Credit information bureau is a department of Bangladesh Bank, which provide report on the prospective client of loan. If the applicant is defaulter at any Bank than Bangladesh Bank restrict that particular client. Therefore, CIB Report plays an important function in giving loan and advances. Term Loan up to 5 years. The following flow chart shows the process of getting CIB Report. Funded facility 15% of paid-up capital and non-funded facility 20% of paid up capital except garments sector. 7. 50% of average market price of last 6 months of shares/securities, which are traded at Stock Exchange, or 50% of book value of the share, which one is lower. It is a well known fact that money is a medium for all transaction that takes place inside the country as well as outside the country. In Bangladesh, we have the TK. Financing the internal trade and other obligation. So, the Home currency to be converted into currencies of other countries, to meet the obligation that arises out import of goods and services from other countries. That part of the economic science that deals with the conversion of Home currency into foreign currency for the purpose of setting international obligations is called Foreign Exchange. International trade and international money and capital modernists are the basis of foreign exchange dealings. Take a simple: Example if a Japanese exporter sells a machine to a Bangladeshi buyer to conclude the transaction the taka which the Bangladeshi business man has available will have to be changed in to yen, the currency sought by the supplier of the machine, or if continental banks want to place excess funds in the Eurodollar market rather than in their own domestic markets, they have to buy dollars against local currency. All claims to foreign currency payable abroad, whether Consisting of funds held (in foreign currency) with banks abroad, or bills of Cheques, again in foreign currency and payable abroad, are termed foreign exchange. All these claims play a part in the relations between a bank and its customers. In the trading of foreign exchange between banks, which is the job of the foreign exchange dealers, only foreign currency held with banks abroad is concerned. Foreign banks notes are not foreign exchange in the arriver sense. They can be converted into foreign exchange, however provided they can be placed without restrictions to the creditor of an ordinary commercial account abroad. The exchange regulations of some of some countries do not allow this conversion of bank notes into foreign reverse is nearly always permitted. A Currency, whether in foreign exchange or bank notes is usually called convertible if the person holding it can convert it, in other freely in to any other currency. 2. Banker’s Draft or Banker’s Cheque. 3. Mails or Air Mate Transfer. 7. Traveler’s Letter of Credit. 9. Express Orders, Bank Post Remittances and Credit Cards. 1. The buyer and the seller conclude a sales contract providing for payment by documentary credit. 2. The buyer instructs his Bank, the issuing Bank to issue a credit in favor of the seller (beneficiary). 3. The issuing Bank asks another Bank, usually in the country of the seller to advice of confirms the credit. 4. The advising or confirming Bank informs the seller that the credit has been issued. 5. As soon as the seller receives the credit and is satisfied that he can meet its terms and conditions, he is in a position to load the goods and dispatch them. 6. The seller then sends the documents evidencing the shipment to the Bank where the credit is available (the nominated Bank) this may be the issuing Bank or the confirming Bank of a Bank named in the credit as the paying, accepting or negotiating Bank. If the credit allows for negotiation by any Bank, there will not be a “nominated Bank” and documents may be sent to any Bank willing to negotiate under the credit. 7. The Bank cheeks the document against the credit. If the documents meet the requirements of the credit, the Bank will pay, accept or negotiate, according to the terms of the credit. In the case of a credit available by negotiate without recourse, any other Bank including the recovers, any other Bank, including the advising Bank if it has not confirming the credit, which negotiated, will do so with recourse. 8. The Bank if other than the issuing Bank sends the documents to the issuing Bank. B. Reimburse in the pre-agreed manner the confirming Bank or any Bank that has paid, accepted or negotiated under the credit. 10. When the documents have been checked by the issuing Bank and fund to meet the credit requirements they are released to the buyer upon payment of the amount due or upon other terms agreed between him and the issuing Bank. A revocable credit is one where the issuing bank at liberty to revoke i.e. cancels the credit at any time. According to UCPDC (), a revocable credit may amend or cancelled by the issuing bank at any moment and without prior notice to the beneficiary before shipment of consignment against the L/C. An irrevocable L/C is one, which cannot be revoked, amended or modified by the bank with the concurrence of the interested parties. The person / body (customer of the bank) who requests the bank (opening bank) to issue letter of credit. As per instruction and on behalf of the applicant, bank open L/C in line with the terms and conditions of the sales contract between the buyer and seller. The bank which open/issue L/C on behalf of the applicant/importer. Issuing bank’s obligation is to make payment against presentation of documents drawn strictly as per terms of the L/C. The bank through which the L/C is advised/ forwarded to the beneficiary (exporter). The responsibility of advising bank is to communicate the L/C to the beneficiary after checking the authenticity of the credit. The advising bank acts only as agent of the issuing bank without having any engagement on their part. Beneficiary of the L/C is the party in whose favor the letter of credit is issued. Usually they are the seller or exporter. The bank, which under instruction in the letter of credit, adds confirmation of making payment in addition to the issuing bank. It is done at the request of the issuing bank having arrangement with them. This confirmation constitutes a definite undertaking on the part of confirming bank in addition to that of issuing bank. 1. Current Account / C. C. A/C). 1. Contract between importer and exporter. 2. Importer applies& instructs his bank (issuing bank) to open an L/C. 3. 1st two copies of L/C send. 4. To send reimbursing authority to reimbursing authority to reimbursing Bank. 5. After authentication advising Bank advises to exporter. Exporter shipped the goods. 6. To submit the required documents. To make payment to the exporter. 7. To send one set of documents. To send another set of documents. 8. To claim Reimbursement. Reimbursed the claim. A Revocable credit is one that can be Amended or Cancelled by the Issuing Bank at any moment without Prior Notice to the Beneficiary. So, this is clear that Revocable Credit can be revoked any time without prior notice. A Irrevocable Credit is one which cannot be cancelled or amended anytime without the consent of each party. Through this L/C the Issuing Bank gives a definite, absolute and irrevocable undertaking to honor its obligations, provided the Beneficiary complies with all the terms and conditions of the credit. 2. Certificate from Chambers of Commerce and Industry Registered Trade Association. 4. Copy of trade license. On receiving application, the respective CCI&E officer will scrutinize the documents and conduct physical verification and issue demand note to the prospective importers to furnish the following papers through their nominated Bank. 3. Affidavit from I’ class Magistrate. 5. Two passport size photograph. 6. Partnership deed in case of partnership firms. 7. Certificate of Registration, Memorandum and Articles of Association in case of Limited Company. 1. The Buyer and the Seller conclude a sales contract provided for payment by Documentary Credit. 2. The Buyer instructs his Bank (The Issuing Bank) to issue a Credit in favor of the Seller/Exporter/Beneficiary. 3. The Issuing Bank then send messages to Another Bank (Advising Bank/Confirming Bank) , usually situated in the country of Seller , advise or confirm the Credit Issued. 4. The Advising/Confirming Bank then informs the Seller through his Bank that the Credit has been issued. 5. As soon as the Seller receives the Credit, if the Credit satisfy him then he can reply. 6. He can meet its terms and conditions, he is in a position to load the goods and dispatch them. 7. The Seller then sends the documents evidencing the Shipment to the Bank where the Credit is available (the Nominated bank). This can be the Issuing bank or Confirming Bank, Bank named in the Credit as the paying accepting or Negotiating Bank. 8. The Bank then checks the Documents against the Credit. If the Documents meet the requirements of the Credit, the bank then pay, accept or negotiate according to the terms of credit. In the case of a credit available by negotiation, Issuing Bank will negotiate with recourse. 9. The Bank, if other than the issuing Bank, sends the Documents to the Issuing Bank. 10. The Issuing Bank checks the Documents and if they found that the Document has meet the Credit requirements, they released to the buyer upon payment of the Amount due or other terms agreed between him and the issuing bank. 11. The Buyer sends transport documents to the carrier who will then proceed to deliver the goods. As soon as the seller/exporter receives the credit and is satisfied that he can meet its terms and conditions, he is in position to load the goods and dispatch them. The seller then sends the documents evidencing the shipment to the bank.Exporter will submit those documents in accordance with the terms and conditions as mentioned in L/C. According to the section 05, Negotiable Instruments (NI) Act-1881, A “bill of exchange” is an instrument in writing containing an unconditional order signed by the maker, directing a certain person to pay [on demand or at fixed or determinable future time] a certain sum of money only to or to the order of a certain person or to the bearer of the instrument. It may be either at sight or certain day sight. Commercial invoice issued by exporter is the accounting document by which the seller charges the goods to buyer. A bill of lading is a document usually stipulated in a credit when exporter dispatches the goods. It is an evidence of a contract of carriage, is a receipt for the goods and is a document of title to goods. It also constitutes a document that is or may be, needed to support an insurance claim. After scrutinizing the import negotiating document, if no discrepancy are found then it is treated to be accepted after the end of seven banking day following the day of receipt of the document under “Article 1(b) of UCPDC –500”. If any discrepancy is found then the banker inform it to the importer that whether he accept the bills with discrepancies or not. If the importer does not accept, the banker (EXIM BANK LTD.) informs it to the negotiating bank within seven banking days from the date of receipt of the documents, otherwise it is treated to be accepted and the opening bank (EXIM BANK LTD.) must bound to pay against the bill and no complain against. The exports from Bangladesh are subject to export trade control exercised by the ministry of commerce through chief controller of imports and exports. No exporter is allowed to export any commodity perishable for export from Bangladesh unless he is registered with CCI & E and holds valid export registration certificate (ERC). The ERC is required to be renewed every year. The ERC number is to be incorporated on exp. From and other papers connected with exports. Any other certificate as required in the policy etc. On receipt of necessary advice from the offices of the controller/ joint controller/ deputy controller/ assistant controller of imports & exports, applicant for export registration certificate are required to deposit registration fee of Tk. 225 to the Government Head of account # 42 trade and commerce fees realized under the import and exports control Act 1950′ through Bangladesh Bank/ Government. Treasury/Sonali Bank. Copies of Treasury Challan showing payment of fees should be sent to the concerned offices of; the chief controller of imports and exports for enabling them to issue export registration certificate. Once registered exporters are to make annual payments of Tk. 25 only for having their export registration certificate renewed. Upon registration the exporter may proceed to secure the export order. This he can do by contracting the buyers directly through correspondence. Some buyers of goods like Jute and Jute goods maintain liaison office representatives of local agents who can be contracted to secure a deal. Sometimes, TCB, BJMC and BJEC secure bulk contract and pass or allocate the contracts to the actual exporters. To indicate the foreign buyers, the exporter may contract the local chamber of commerce of potential buyers. The export promotion bureau and the Bangladesh missions abroad are also good sources for securing information of the prospective buyers. The branch facilities it’s customer by conducting foreign remittance activities. There are two ways through which one can money from foreign remittance are places to another. The Remittance of freely convertible to foreign currencies which are receiving from abroad against which the Authorized Dealers payment in Local currency to the beneficiaries may be termed as Foreign Inward Remittance. The marketing mix is the set of controllable tactical marketing tools – Product, Price, Place and Promotion; that the organization blends to produce the response it wants in the market. The marketing mix is consisting of every thing the organization can do to influence the demand for its product or services. EXIM Bank is service oriented organization. For any organization that provides service- it is important that all the 4 Ps’ of marketing mix are implemented properly. Product is the core of all marketing activities. There are two types of organizations according their product. Some organization’s core product is goods on the other hand some organization’s core product is service. The EXIM Bank provides banking services which includes general banking, foreign exchange, and investment. The core objective of EXIM Bank is to ensure its customer desired level of service. Al- Wadia Current Deposit: The main objective of this account is to provide convenience to the customers in their savings. This account allows the customer to deposit his/ her surplus money as and when available and receive lucrative profit on the same. The customer can deposit any sum desired at any time of the operational hours in this account. Mudaraba Short Term Deposit: It is known as time liabilities. This are deposits which are made with bank for a fixed period specified in advance. The bank need not maintain cash reserves against these deposits and therefore, the bank offer higher rate of interest on such deposite. Monthly Savings Scheme (Money Grower): Under this scheme one can deposit monthly a fixed amount of money regularly and will receive a substantial amount with handsome benefit after maturity of reasonable period. Monthly Income Scheme (Steady Money): Under this scheme, the depositor is allowed to deposit at least TK.100000 or its multiple amounts for 3 years and in return he/ she will receive profit on monthly basis at an attractive rate. This scheme mainly introduced for the benefit of middle- income group, particularly retired personal. More than Double the deposit in 6 years (Super Savings): This scheme is offered for all classes’ people, especially for the middle class, where the depositor is allowed to deposit at least TK.5000 or its multiple amount for 6 years and deposited amount will be stood at more than double. More than triple the Deposit in 10 years(Multiplies Saving): Under this scheme, the depositor is allowed to deposit at least TK.5000 or its multiple amount for 10 years and deposited amount will be stood at more than triple. Mudaraba Hajj Deposit: in view of smooth arrangement for performing Hajj, EXIM Bank has introduced this scheme under the tenure of 5, 8, 10,15&20 years with nominal amount of deposit per month. From UK through Exim Exchange Company (UK) Ltd.
EXIM Bank is posed to extend L/C facilities to its importers/ exporters through establishment of correspondent relations and NOSTRO accounts with leading banks all over the world. Exim bank limited has started commercial operation fully Shariah Based Visa Islamic card (local, international and duel currency) under the principal of BAI Murabaha. This is the first Islamic electronic product for any Islamic bank in Bangladesh. Electricity bill deposit : Palli Bidduyt Shamiti of Gazipur can deposit their electricity bills in Gazipur branch. Pricing of different products in a bank means the service charge and the revenue for the cost of capital the bank is incurring. Banks use this deposit for loans and advances – like car loan, home loan, industrial loan etc. Banks charge interests from the party that’s availing the loan. This interest rate is higher than the interest rate that the banks are providing to the public for deposit. The difference between these interests rate are often called MARGIN. Banks charge some service charges / fees from the party availing loan for the services they provide. – The service charges they charge for providing services. Depending upon the rates, the service charges and nature of the service, a bank can gain more customers from another bank. One thing which is common in all banks and organization is – the target customer group. For different products and services, there are different target groups. And depending upon the target group, the pricing may be higher or lower. In marketing, place means the point of service or availability of the product. Since banks deal with balancing the economy, the availability is very much important. For banks, availability is ensured through branches. The more number of branches, the better it is for different locality. For example, the locality of Uttara will like to take services from a bank which is situated in Uttara. It is highly unlikely that, someone living in Uttara will bank in Motijheel. So, the placing is very much important. It is beneficiary for a bank to establish a branch near business areas or places where they can ensure that they can bring business. Promotional activity of a bank can include anything that will promote the bank to the people. Normally, these can include advertisement in Billboards, TV commercials or paper ads etc; CSR activities, brandings, sponsorships. EXIM bank occasionally gives advertisement and notices in daily newspapers. For example any new branch opening information or new products etc. Billboards of EXIM banks are not that much visible in the road. The main concept of promoting EXIM bank is “Shariah Based Islami Bank”. EXIM bank is focused on this concept and in their promotional activities they try to keep it in front. The previous banking system that someone has to go to some specific branch for banking purpose – for withdrawing money or depositing is diminishing day by day. Today with the help of modern day computer many banks have gone online – that means, the customers can go to any branches for their transactions regardless where they have opened their account. This has not only been a luxury but a necessity these days. When a customer will see that, they are limited to a certain branch, they would rather choose a different bank where they can use any branches. Since EXIM bank is a thriving bank and willing to capture more market share in the upcoming days, it is high time, the bank implements true online system so that the customers of any branch can do their transaction from any other branch – branches near their offices or home or when they travel in other cities etc. The use of computer is important not only for online system but also in everyday process and activities of the employees. EXIM bank still uses traditional paper systems today instead of maintaining computer systems in every aspect. As a result, the work becomes hectic and also mistakes are not always easy to track. By changing their process and use of advanced computer software, the bank can increase employee efficiency and effectiveness. EXIM bank has lots of products to offer already. But these products are more industrial in nature. For general consumer, EXIM bank has lots of deposits but not much of credit schemes. Almost all the banks are now providing personal loan, auto loan, house loan etc. It is to be noted that, the bank will earn little profit serving hundreds of customers for personal credit schemes whereas, the bank will earn very high profit by serving just few industrial customers. But it is also to be noted that, serving customer is like a branding. The more customers the bank will serve with their innovative products, the more exposure the bank will get – with the help of which, the bank may capture more industrial clients. So, the bank should focus on serving normal consumers. EXIM bank is already providing competitive pricing for its loans and advances. Their awareness is needed to monitor the market and other banks for price competitiveness. One thing also has to be noted that, low pricing must not compromise with quality services. Customers are willing to pay a little higher just for the extra and better service. EXIM bank can spread their branches in more areas all over the country to expand its wings. More branches in EPZ areas, Chittagong Port Areas – the important business areas will help the bank get more business. EXIM bank can take another leap by introducing ATM booths. Since this idea is now flourishing and almost all the pioneer banks have ATM booths, EXIM bank with its reputation and service quality should also start providing this service. Another growing sector in Bangladesh is SME. EXIM bank is already much focused on corporate. With similar focus on SME, the bank can see much higher profit and new dimension of doing business. As part of promotional activities – EXIM bank can go for more newspaper ads – specially when they launch a new services etc. From time to time, EXIM bank can go for different campaign and go for discounts or other promotional activities. In a word, with more promotion, the bank can expect nothing but more business and customer. Export Import Bank of Bangladesh Limited is a new generation bank. It is committed to provide high quality financial services/products to contribute to the growth of GDP of the country through stimulating trade and commerce, accelerating the pace of industrialization, boosting up export, creating employment opportunity for the educated youth, poverty alleviation, raising standard of living of limited income group and overall sustainable socio-economic development of the country. 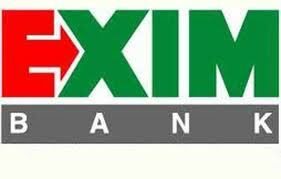 Through it is a new bank, EXIM Bank makes a strong position through it’s varies activities. Its number of clients, amount of deposit and investment money increases day by day. This bank already has shown impressive performance in investment. Consumer are more or less satisfied with the present services of the bank now should think to start new services and take different types of marketing strategy to get more customers in this competition market of banking. On the other hand EXIM Bank Ltd. is facing several competitions from other key players like Islamic Bank Bangladesh Ltd., Prime Bank Ltd., Social Islami Bank Ltd., Mercantile Bank Ltd., Al-Arafah Bank Ltd., Shahjalal Bank Ltd. Considering its reputation, the services it provides, the scope it has with more marketing activities – it can be said that, EXIM bank is growing fast and its contribution to the economy is considerable. Lastly, it is hoped that, EXIM bank will expand its branch and services with more customer satisfaction and better reputation. Everyday Working experience in EXIM Bank with the executive of different departments. News papers publishing news of EXIM Bank.